Chronic mental stress, (e.g., guilt, resentment, unresolved grief, feeling driven, worry, over-analysis, investment in what others think about us, and frustration related to the inability to control others’ behavior) leads to the chronic activation of the body’s emergency stress response. This response is designed to be called upon for up to 30 minutes to assist us to survive life-threatening emergencies. When prolonged, this response manifests in massive shifts in hormones, a powerful inflammatory reaction and reallocation of internal resources, such as the immune system, away from their usual function of ensuring growth, health and optimal functioning. The body alerts us to chronic activation of the stress response through progressive internal feelings of dis-ease and physical symptoms. If these symptoms are not understood as helpful alarms, additional progressive physical deregulation and “illness” (i.e., a louder alarm) often occurs. An incremental understanding of Mind, the formless energy that uses our brain is both preventative (a vaccine) and curative. Being aware of this understanding produces an internal experience of life that is gentler, more joyful, more loving, and more present. This leads to a higher level of emotional, psychological and physical health. This health is incrementally independent of past painful experience, present challenges, and future uncertainty. Bill has a gift for making the medical sciences accessible and showing how past and current research harmonizes with the logic of the Three Principles. During this program, Bill will weave his personal story, vignettes from over 50 years of clinical experience, and a store of medical knowledge into a practical understanding of the healing nature of the Three Principles. 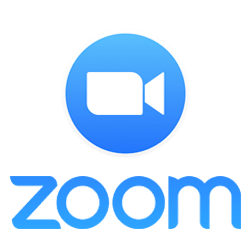 This six week course will consist of 6 video calls held weekly on Wednesdays from March 13th – April 17th from 9 am -11 am MST (Time Zone Converter) on the Zoom platform. Each call is 2 hours and structured with interactive learning, as well as time for questions. The calls are recorded and recordings will be donwloadable, technology willing. A Private Facebook group for participants will help further delving into topics, and questions can be posed as you think of them. Interest areas expressed here will be used to customize the content for the course. Bill Pettit has shared the Three Principles within his psychiatric practice for more than 35 years. Bill was mentored personally for over 26 years by Sydney Banks, and his direct experience with Syd’s teaching closely informs his work. His most recent speaking and coaching work has focused on overcoming trauma, and the understanding that there is just one cause—and one cure—for mental illness. Bill is board-certified in psychiatry and holds an M.D. from University of Illinois College of Medicine and a B.A. from Creighton University, and has been previously board-certified in mind-body medicine, and twice certified in addiction medicine. He presently holds an appointment as Associate Clinical Professor in the Department of Psychiatry at Creighton University School of Medicine. Bill also served as a physician in the United States Navy for more than 9 years, including 3 years as a Navy Flight Surgeon and 3 years as Chief of Psychiatry of the Navy Nuclear Submarine base at Groton, Connecticut. Since 1983 Dr. Pettit has been a student and sharer of the Three Principles, presenting at many national and international programs and conferences, and consulting clients, individuals and organizations both locally and abroad. Bill and his wife, Linda, now live in Phoenix, Arizona, where Bill continues to practice psychiatry two mornings a week, and devoting the rest of his time and energy sharing the Three Principles through as many avenues as possible. 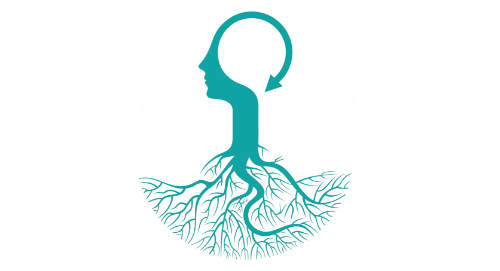 “Drawing on the Three Principles understanding of how the mind works, the Drs. Pettit are clinical artists, guiding people towards the path of mental health and human flourishing.” -- Professor Anthony Kessel | U.K. Interested in doing this program with a group?